 Fish and pond wildlife require oxygen rich water to remain healthy. Beneficial bacteria in pond and filtration systems are essential for the break down of highly toxic ammonia and nitrites, they also require oxygen to flourish and keep a pond free from the build up of toxic waste.  Additionally placing air stones directly into a filter chamber will further aid biological filtration. Up to one third of the oxygen used in a pond can be attributed to these essential beneficial bacteria. 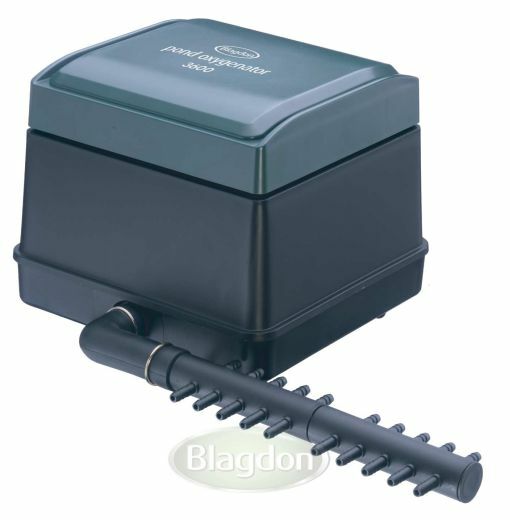  Using a Blagdon oxygenator in your pond will dramatically increase the level of of oxygen and reduce carbon dioxide levels. 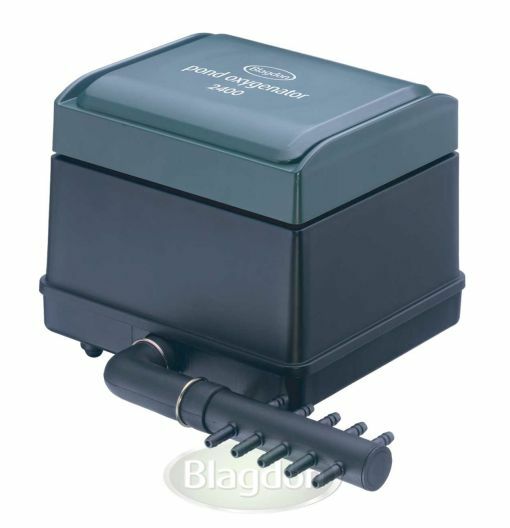 Circulation and aeration prevents stagnation of the water. 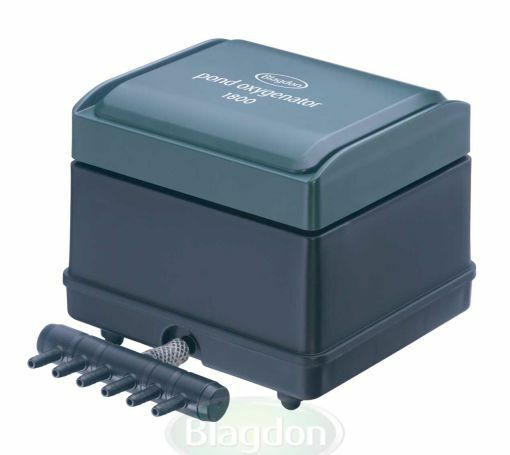 Aeration is especially important during warm weather when water holds less oxygen.  Oxygenating plants produce oxygen during the day but start to use oxygen at night, depleting the pond of oxygen. 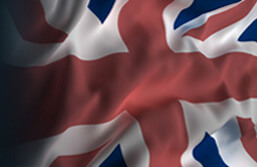 An oxygenator will provide a complete solution for a healthy, oxygen rich pond throughout the day.  Aeration by air stones help keep an area ice free in the winter, preventing the build up of toxic gasses which can be fatal to fish and wildlife.  Using treatments and medications in your pond often reduces oxygen levels, adding aeration will benefit the fish and wildlife when they are at their most vulnerable.